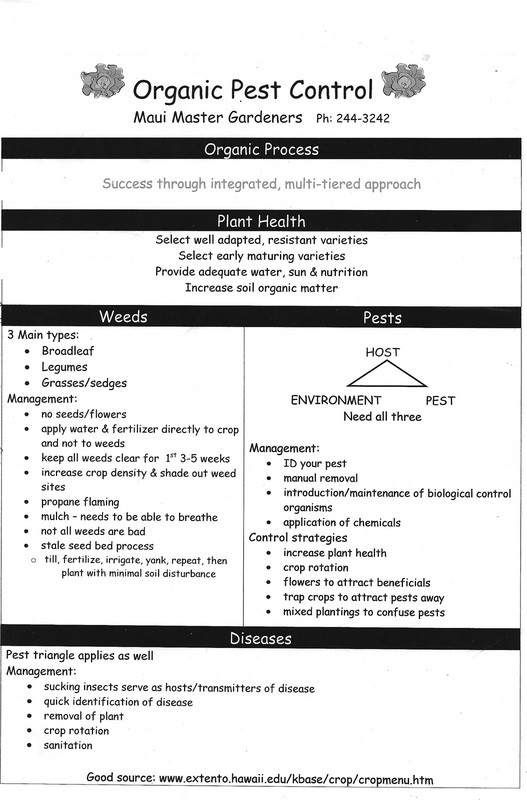 Back in 2007 or maybe 2008, the Maui Master Gardeners gave a talk at Haliimaile Community Garden on organic gardening tips and pest control. 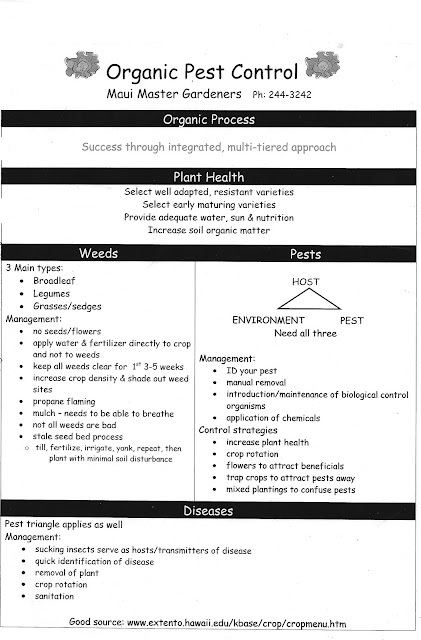 The Maui Master Gardeners program is run by the University of Hawaii Cooperative Extension Service. I've known several people who have taken these intensive classes, which are often offered in the spring and fall. The fees are nominal, maybe $100 for the entire session, and then the gardeners are asked to volunteer for the county extension service for an indefinite amount of time. I've thought about joining the program, but since the volunteer requirement was not clear to me, I did not want to commit for the rest of my life to volunteering for the county. I took lousy notes that day because they provided two nice handouts. 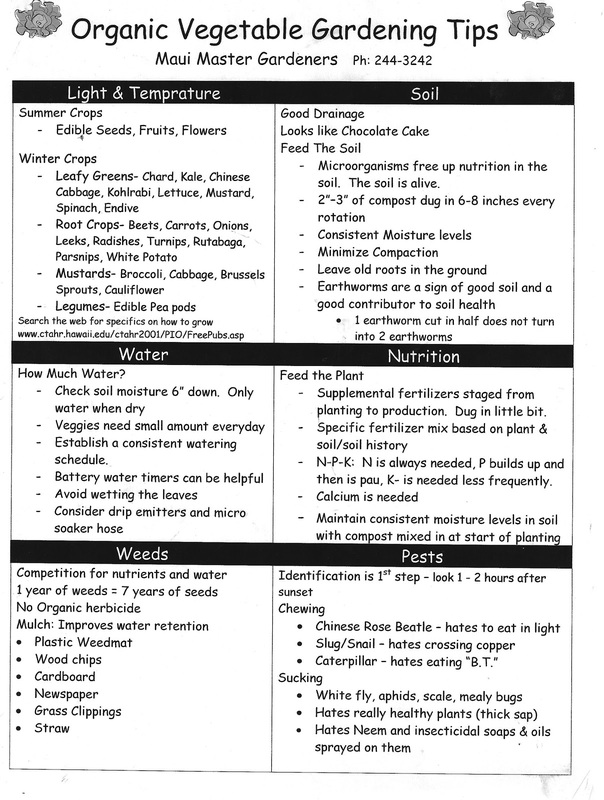 Some people may recognize the information on summer and winter crops posted earlier this week. This is a link to the program, but I think the name of the coordinator may not be up to date. If you have a gardening question, you can also call their hotline. Here's a link to their phone numbers on each island.